You Are Never to Old for Entrepreneurship! Imagine Silicon Valleyin the 1980s with its entrepreneurial, brilliant, and creative 22-year olds working 20 hours a day and eating pizza at 3 a.m. on paper plates. That scene may still exist, but entrepreneurship is not just for kids. In fact, a recent study shows that the age group accounting for the sharpest growth in entrepreneurship as a percentage of all entrepreneurs is the cohort between the ages of 55 and 64. In 1996, 14.3 percent of all entrepreneurs were in this age group. In 2011, the share had grown to 20.9 percent. The percentages actually declined for those 44 years old and younger—most sharply for the 20- to 34-year-old cohort. The demographic picture of entrepreneurship is changing. One question is, why now? In my work as a consultant on entrepreneurship for older workers, I have come across a variety of motives: unemployment, job insecurity, a burning idea, a desire for freedom, frustration with age discrimination, a wish to make a difference, and economic opportunities. At three recent conferences on entrepreneurship for Baby Boomers sponsored by the Center for Productive Longevity, attendees came for these reasons and others, but they had one trait in common: passion. Their passion often emanated from personal experiences such as divorce, serving as a hospice volunteer, readiness to depart from a practical career path and take a risk, a love of cooking, or noticing the broken porches of elderly neighbors and wanting to help. Myth #1: Entrepreneurship is a solo profession. False. Entrepreneurs engage with friends and networks. Myth #2: Entrepreneurs are born, not made. False. One can acquire the knowledge and skills needed to become an entrepreneur. Many university business programs (including Babson’s) offer this training. Conferences, workshops, and online resources do, too. Myth #3: Entrepreneurship requires big and new ideas. False. Most entrepreneurial launches spring from small ideas. Moreover, seven out of eight businesses are extensions of old ideas, according to Schlesinger. If you want to retain high performing mature workers who have a yen for entrepreneurship and creativity, identify opportunities within your company where the entrepreneurial spirit can be expressed. Examples: Google engineers have one day a week to work on their own. Within the organization these activities are referred to as “20 percent projects.” Gmail was one. Microsoft launched the Microsoft Pioneer Studios, a skunkworks operation that attracts the company’s entrepreneurial employees. Include some coaching on entrepreneurship in your company’s retirement planning services. By doing so, you will demonstrate relevance, provide a service, and embrace the core of a successful American economy. You might also incubate an idea that will one day become part of your company’s portfolio. Reposted with permission from the Sloan Center on Aging & Work AGEnda blog. 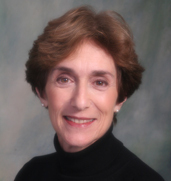 Helen Dennis is a consultant on aging, employment, and the new retirement based inLos Angeles. For cutting-edge retirement education, innovations in managing a maturing workforce, preventing age discrimination in the workplace, and maximizing the new work and retirement model for both men and women, please contact Helen at info@helenmdennis.com.